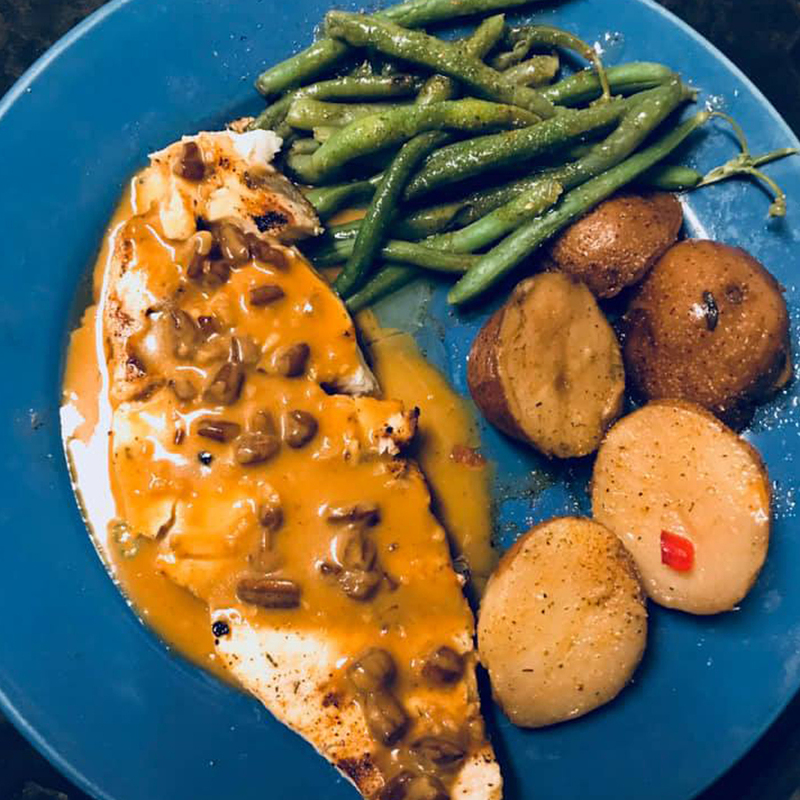 From our authentic Jamaican Jerk Chicken to our signature crab soup, fresh scallops and mouth watering filets, you won’t be disappointed with whatever you choose to order. Our specialities include crab cake sandwiches from the Outer Banks of North Carolina and shrimp and grits from the South Carolina Low Country. 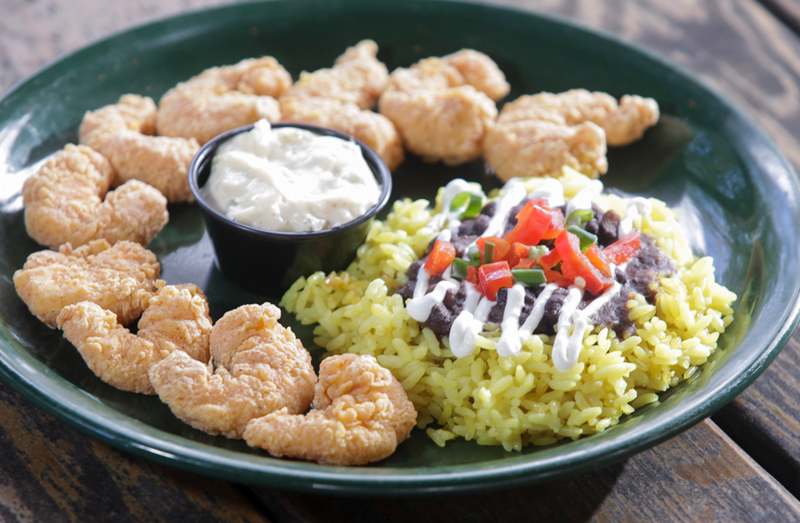 Try the dolphin sandwich from the Florida Keys or New Orleans-style fried shrimp. 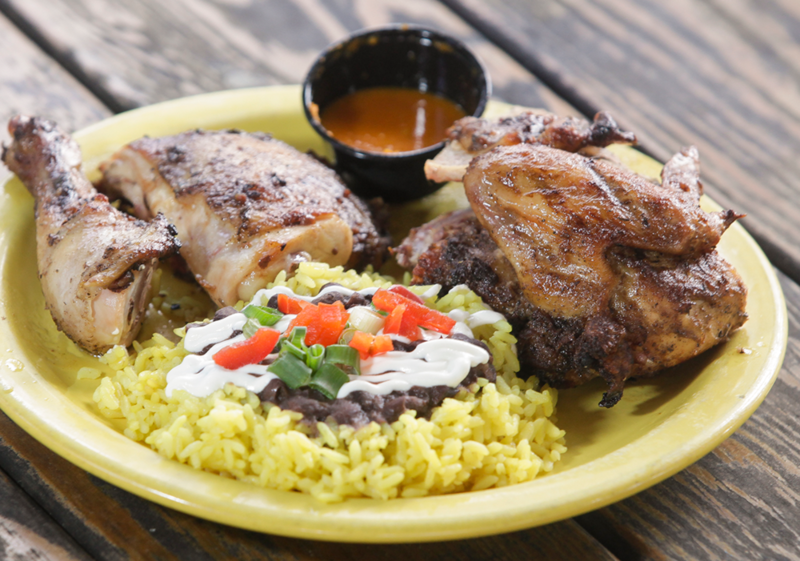 However, all first-timers are instructed to try the house specialty, Jamaican Jerk Chicken. 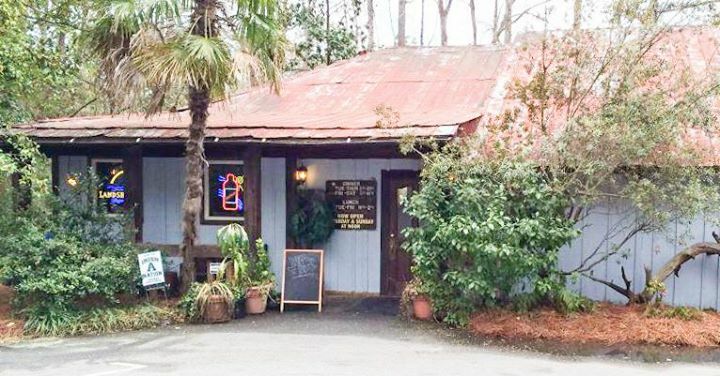 RAES COASTAL CAFE in Augusta, Georgia is open for lunch and dinner Tuesday through Sunday. We’re tucked away in a small community at the west end of Walton Way. We suggest calling for directions before you start the journey! A trip to RAES is like a trip to your favorite beach. From the moment you wind your way into the area and are greeted by the lush vegetation that surrounds the tinned roof “shack” that is RAES COASTAL CAFE, you’ll be reminded of the best beach trip you’ve been on. 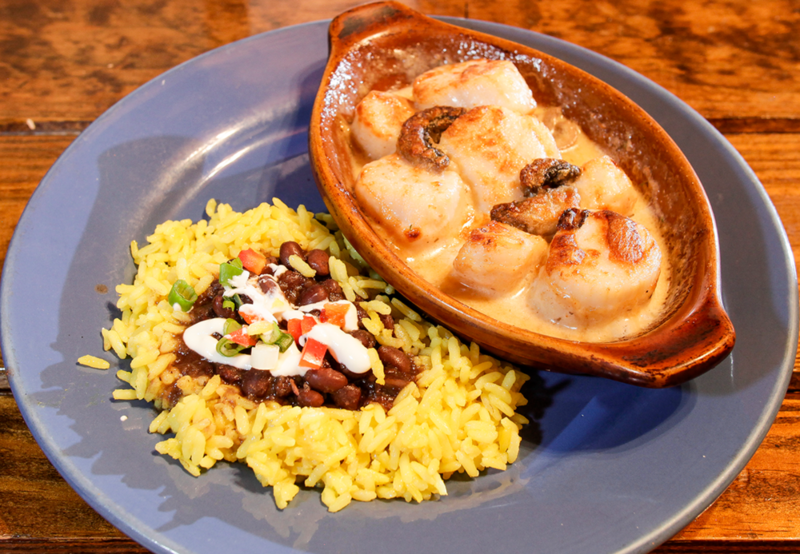 When RAES COASTAL CAFE was started in February of 1992, there were four appetizers, four entrees, two desserts and one salad – with no choice of dressing! The local restaurant and menu has, of course, grown into an Augusta staple. The salad, while variations now appear, has grown into a multi-county, multi-state and multi-country phenomenon that is discussed as frequently as the meals. Walter grew up in Augusta and after attending Augusta College, Walter worked at the legendary Calvert’s restaurant with six other men who all opened their own restaurants! After serving as the opening manager at the French Market Grille, Walter opened Raes in 1992 to fuel his passion for the restaurant business and to bring a taste of the coast to his hometown. Born in 1993, Shadrick was raised by Raes. He started out washing dishes for minimum wage during high school and went on to earn a degree in Hospitality at the University of South Carolina. 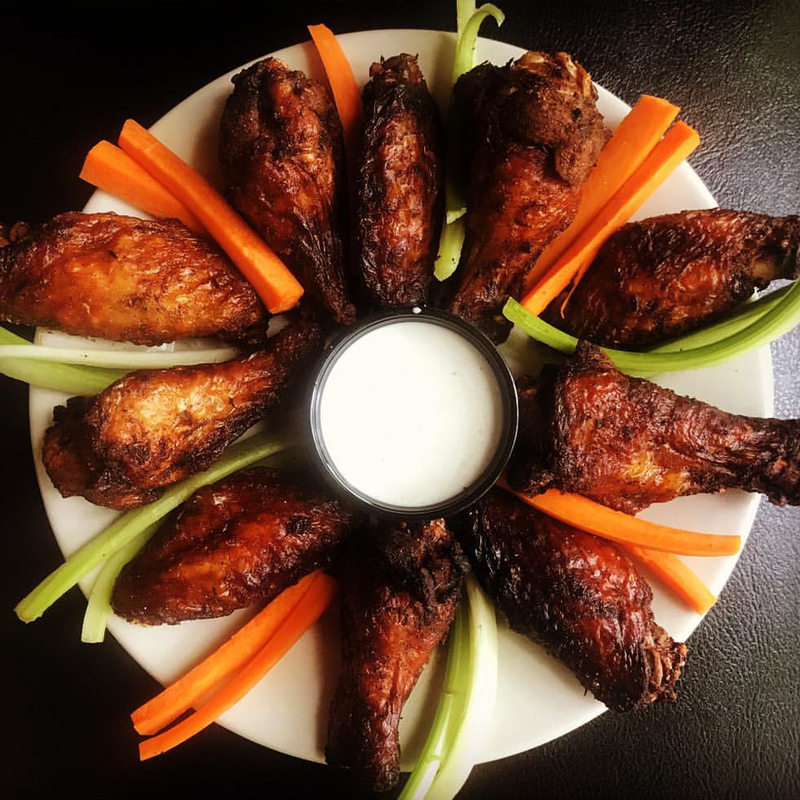 Having worked at a variety of restaurants in Columbia area, Shadrick returned to Raes to ensure the legacy of this iconic, Augusta landmark restaurant continues.